Three more games are free to play this weekend: Call of Duty: WW2 multiplayer, XCOM 2, and Offworld Trading Company. Steam and Xbox One users have plenty of games to play this weekend – for free. PC users can play Call of Duty: WW2 multiplayer, Offworld Trading Company, and XCOM 2. The latter is also free to play for Xbox Live Gold subscribers. XCOM 2 is free to play with Xbox Live Gold now through 11:59pm PT May 6, 2:59am ET, 7:59am UK, May 7. PC users can play it free until Sunday, May 6 at 1pm PT, 4pm ET, 9pm UK. It is also on sale for up to 67% off for PC and Xbox One. Offworld Trading Company can be played for free on Steam now through Sunday, May 6 at 1pm PT, 4pm ET, 9pm UK. It is also 50% off until Monday. 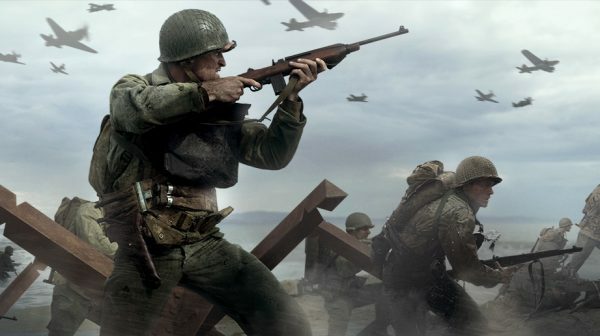 Finally, Call of Duty: WW2 multiplayer is free now through Sunday, May 6 at 1pm PT, 4pm ET, 9pm UK. You can also pickup the game up for 35% off until Monday. And don’t forget: Just Cause 3 is free to play on Xbox One with Gold this weekend, and For Honor is too for PC, PS4 and Xbox One.